New Zealand is one of the world’s best places to live and study, you can choose between an English Course, a Vocational course or Higher Education. 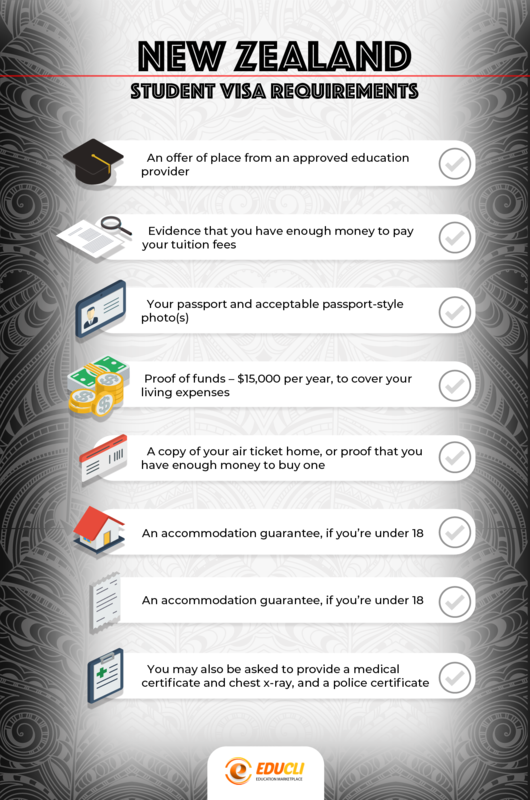 Follow our guide to understand about the Student Visa Process. If your course duration will be less than 3 months, you don’t need to apply for a Student Visa. You can come to New Zealand under a tourist visa, however with this option you won’t be able to work during your stay. If your course length is over 3 months then the correct visa for you is the Student Visa. You’ll need to pay the full cost of your courses and enrol with an approved education provider. Also you will have a work permit of 20 hours a week while studying and full-time during your holidays.